This book seeks to fill a void in contemporary aesthetics scholarship by considering the cognitive features that make the aesthetic and artistic worthy of philosophical study. Aesthetic cognition has been largely abandoned by analytical philosophy, which instead tends to focus its attention on the ‘non-exhibited’ properties of artwork or issues concerning semantic and syntactic structure. 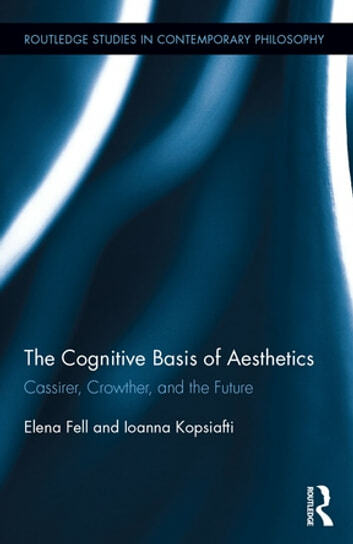 The Cognitive Basis of Aesthetics innovatively seeks to correct the marginalization of aesthetics in analytical philosophy by reinterpreting aesthetic cognition through an integration of Ernst Cassirer’s philosophy of symbolic forms with Paul Crowther’s theory of imagination and philosophy of art. This integration has three important outcomes: 1) it explains why the aesthetic and artistic constitute a unique form of knowledge; 2) it shows the role this plays in the formation of aesthetics as a discipline; and 3) it describes why aesthetic cognition is so deeply engaging. This book’s unique theoretical approach engages with important works of visual, conceptual, and digital art, as well as literature, music, and theatre.